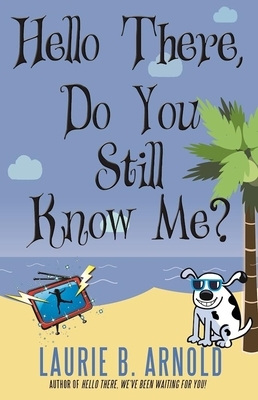 In this sequel to the popular kids novel, Hello There, We've Been Waiting For You , it's summertime and Madison McGee's best friends, Violet and Noah, join her in Costa Rica, where she's staying with Rosalie Claire. Their dreams of lazy sunny beach days come to a screeching halt when Madison's grandmother, Florida Brown, unexpectedly shows up on their doorstep. Dangerously ill with a mysterious ailment, Florida needs help. But the magic in Rosalie Claire's fanny pack has stopped working. Only one person knows how to revive it - Grandma Daisy. The only problem? She's been dead for five years. Enter the MegaPix 6000. Together, Madison and her friends have to figure out a way to turn the magic TV into a time machine so they can visit Grandma Daisy and save Florida. Once the intrepid trio hurtles into the past, a dizzying adventure unfolds, filled with heart-filled, unexpected consequences. Laurie B. Arnold has two grown-up sons and lives on Bainbridge Island with her amazing husband, a perfect fuzzy dog, and a psychotic cat. She's written and designed countless children's interactive games, a trio of picture books, and scripts for animated kids' TV shows, including Dragon Tales. Her first novel, Hello There, We've Been Waiting for You! - the first in the Hello There trilogy - was a finalist in the ForeWord Reviews 2013 Book of the Year Awards for Juvenile Fiction and was a New Mexico Battle of the Books pick for 2015-2016.